Do you have a beautiful home with a large backyard, but still feel there’s something missing? A greenhouse might be just what you’re looking for. These small (for the most part) structures will let you grow a variety of plants off-season and regardless of the weather outside. Before you start building your own backyard greenhouse, though, make sure to go over our steps so you avoid having any setbacks on your way to becoming a master gardener. Budget comes first. Like it or not, we all have a budget to work under, no matter the venture. Knowing yours is the key to building a complete and lasting structure. Don’t be afraid to meticulously plan out how much every little thing will cost before starting. It won’t be fun, but it might be the only way to create a functioning greenhouse without spending more than you’d like. Some will be content with a $100 dollar greenhouse; others won’t mind spending $10,000 to grow the perfect avocado for their salad. Do you have a blueprint? Building as you go sure is fun, but if you’re building big, it probably won’t get you far unless you’re an engineering visionary – even they refer to blueprints every now and then. You can build simpler greenhouses without a blueprint, but you’ll definitely need to put things on paper if you’re making a larger effort. Make sure you have the tools. Deciding to take matters into your own hands is certainly commendable, but those hands will need to wield appropriate tools if you want something good to come from your building endeavor. Make sure you have the materials. Some of the things you’ll need for your greenhouse might be hard to get. Depending on where you live, you might have to drive for hours to get all the right stuff before starting the project. Running out of materials at a critical stage won’t just make you look silly; it can also be very detrimental to the project, possibly even threatening to undo the work you’ve done so far in cases of extreme weather conditions. 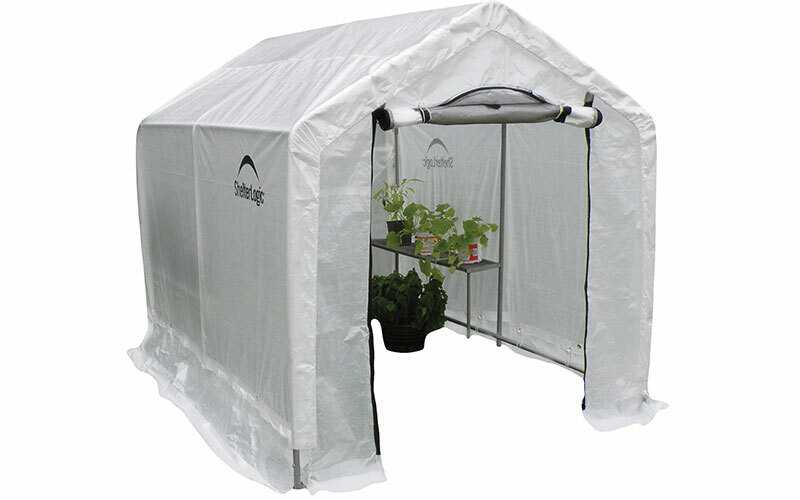 Ventilation, lighting, heating – your greenhouse might need all three. A working ventilation system is the key to a functional greenhouse with healthy plants – weather and fertilizer type will play a big factor here. While more efficient, there’s a good chance an electrical ventilation system will spike your utility bill quite a bit. Artificial lighting is obviously absent from budget greenhouses, but you can’t always get satisfactory results without it. If you’re in a cloudy area, LED or sodium lights might be the only way to give your plants their much-needed light. Even with an abundance of sun, you’ll still get much better results with artificial lights, albeit with greater expenses. If you’re spending money to power artificial lighting for your greenhouse, you should hope to sell at least some of your fruit and/or vegetables at the local farmer’s market. While artificial heating isn’t the most common feature in hobbyist greenhouses, some climates are simply too harsh for plants to thrive whenever the home owners want them to. Lastly, don’t hesitate to ask for the help of a neighbor or friend while constructing your greenhouse. It’s going to speed things up considerably, and you can always pay them off with a promise of homegrown vegetables.